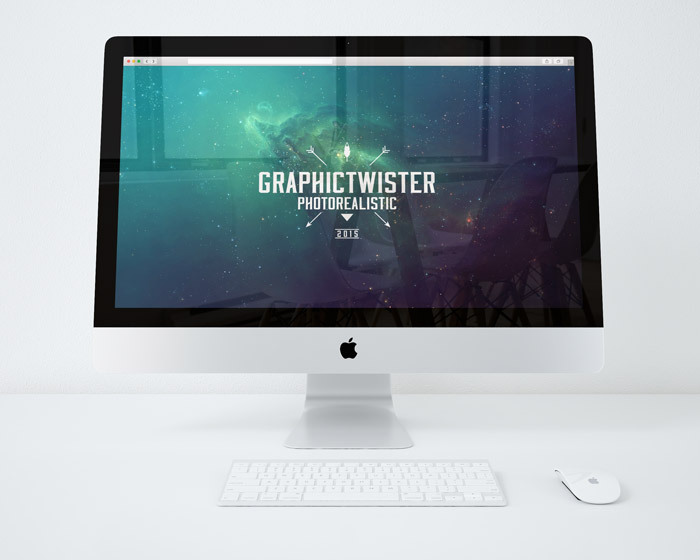 Front view of photorealistic Office Workspace mockup designs to showcase your work on iMac Screen. Add your image inside the smart object and enjoy you work. Mockup is completely free.